Middlemount Community Hall is located near the centre of town on James Randall Drive, just a short distance from the Middlemount Community School. This lovely and relatively modern hall boasts great lighting and sound capability and is fully equipped with catering facilities. It provides the vibrant Middlemount community with the perfect venue for events, functions, seminars, conferences, classes and workshops. Established in the early 1980’s, Middlemount is a mining town located about one and a half hours drive from Emerald and three hours from Rockhampton and Mackay. Tickets have been sponsored in full by the Isaac Regional Council and are available to residents from Isaac Regional Council’s Middlemount Library only. Festival of Small Halls Middlemount is supported by local artist Ellen Hussey. Ellen Hussey has been a part of the Middlemount community since 2008. She is a humble singer song writer who performs predominantly for family and friends. She first showcased her vocal talent to the Middlemount Community in the 2009 local Christmas Carols and has since performed regularly in community events such as Australia Day and Anzac Day. In 2017, Ellen was selected by the Queensland Music Festival to be a part of the Isaac Region Production, “The Power Within”, performing a moving rendition of The Dixie Chicks “Wide Open Spaces”, alongside her teenage daughter. 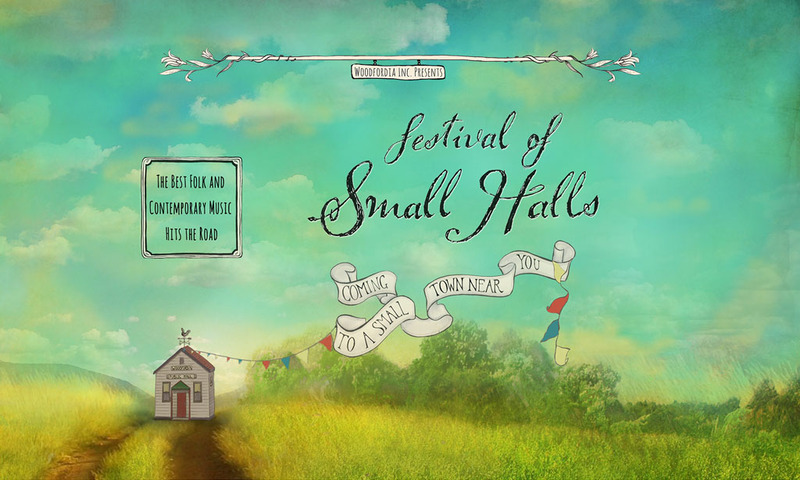 The Festival of Small Halls tour has provided Ellen with an opportunity to perform some original material for her local community. Ellen’s original songs speak of love, truth and finding yourself in this vast and challenging world.